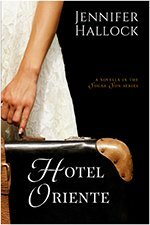 In French, the word histoire can mean either a chronicle of the past or a fresh fictional tale—and, as a historical romance author, I love that flexibility. 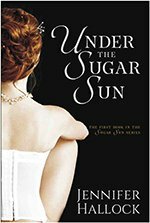 No matter whether I am writing my Sugar Sun series or the actual history of the Spanish-American and Philippine-American Wars, I embrace the story behind the events. There is good reason for this. My day job for the last twenty years has been teaching history to intelligent, discriminating teenagers. (Yes, such a beast exists, I am happy to report!) Like any good teacher, I strive to keep my presentation lively, informative, and seasoned with humor. Sometimes that humor comes in the shape of snark, but so it goes. 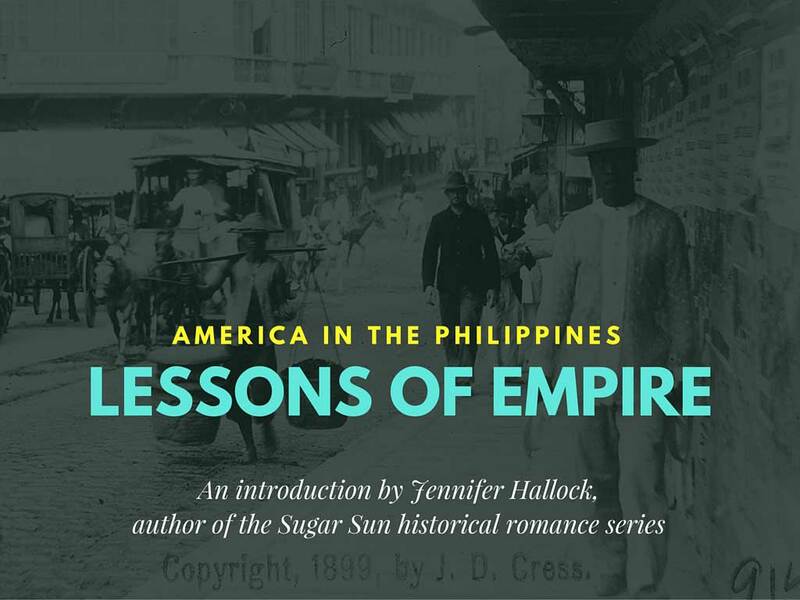 And thanks to the indulgence of my employer, I am lucky enough to teach one of the few courses in the United States—at any level—devoted to just this era: American colonial rule in the Philippines. (It may be the only one. I don’t actually know.) And if I can teach this history to seventeen year olds, people, I can teach it to you. 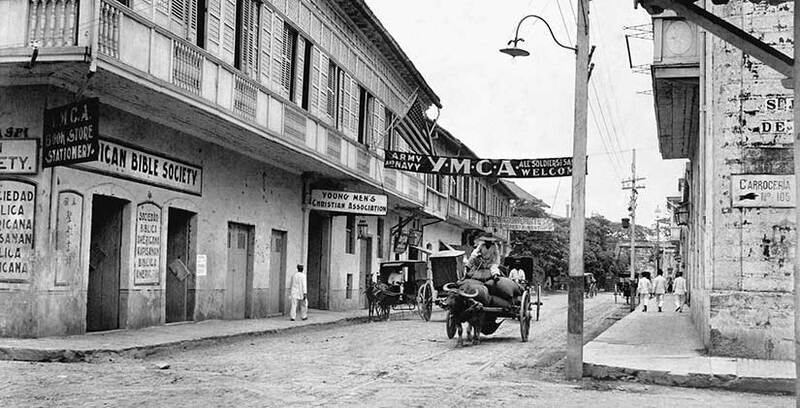 The Americans in Manila, an early 20th century photograph. 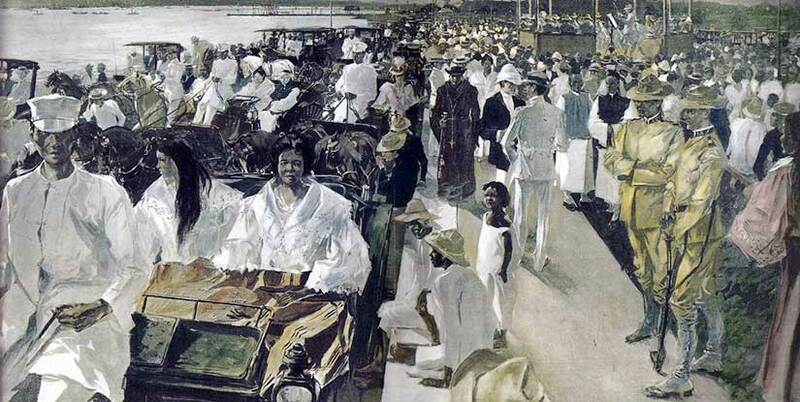 I will tell you why Americans came to the Philippines at the turn of the twentieth century, and how this endeavor fundamentally changed our role in the world—and launched some of our best known political and military figures, to boot. I will tell you the good, bad, and ugly how of the Americans ruled—and why, despite it all, the Filipino-American friendship is still so strong today. I will tell you why this matters to you in the twenty-first century, particularly as the two countries renew their strategic (read: military) partnership in Asia. Finally, I’ll give you a few stories of my own in the fabulous Philippines, and how these experiences have shaped what and how I write. Did I mention I have pictures? A whole slide show, in fact. If you live in the New England area, I hope to bring this talk to a library or historical society near you! The best part is that I will do it for FREE. Please feel free to get your librarian in touch with me. I have PowerPoint and will travel (within reason), and I am available starting August 2016. What do I get out of it? The author in me hopes to expand my readership by getting my books in the public eye. Duh. But the teacher in me wants you to know about this pivotal period in American history, one that for too long has gotten only a terse mention in your textbooks. The American in me wants you to see how this period shaped the American Century to come, while the long-time-resident-of-the-Philippines in me wants you to know how intertwined our fates still are. 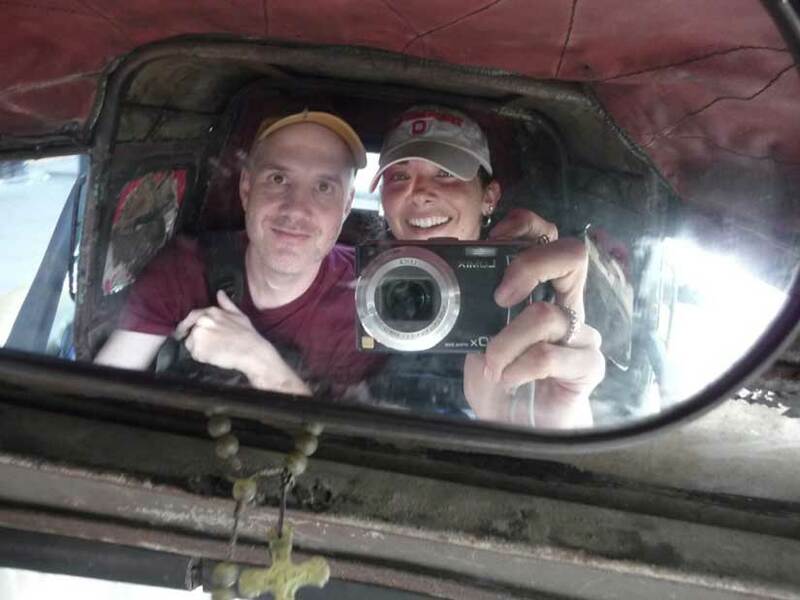 Mr. Hallock and I in a tricycle after a 26-hour bus ride from Samar. That little sidecar felt spacious, if that tells you anything about the bus. As to my credentials: I am an award-winning teacher with two decades of experience here and abroad, including the Philippines (obviously), Lebanon, and Thailand. I have a bachelor’s and master’s degree in international affairs from Georgetown University, with a focus in Asian Studies. I have authored articles in several peer-reviewed journals, as well as fact-checked and edited others. I speak barely intelligible snippets of all sorts of languages, which means I mostly get by on my smile and other people’s indulgence. So, you know, call me. (Ahem, not really.) In the interests of limiting spam, please comment below if you are interested in bringing me to your library or historical society. I will get in touch with you via email. Thank you for letting me spread the histoire! 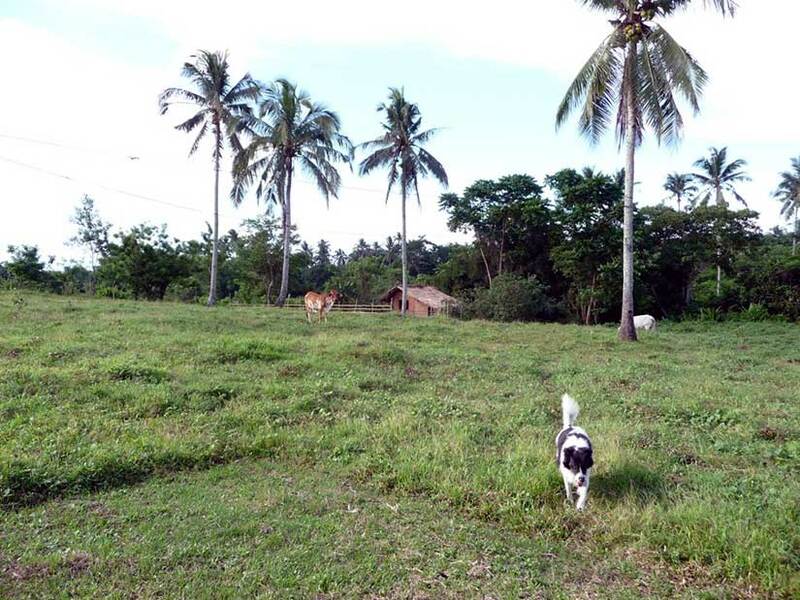 My Border Collie, Grover, on our farm in Cavite. Our dogs have one up on Magellan—they really have circumnavigated the globe. In baggage class, Grover would like to point out, but nevertheless…world travelers! Featured image at the top of this post is G. W. Peter’s illustration, “An Evening Concert on the Luneta,” which was published in Harper’s Weekly as the centerfold on 25 November 1899. I color-corrected a high resolution image I found to bring out the American soldiers on the right side. *My timing is not really guaranteed. But, on the plus side, neither do I charge for this presentation, so there’s that. We would love to host your program at our library. 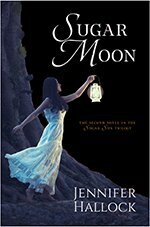 Are you able to come to the Hingham Public Library on a Monday evening in the next few months? If so, please let us know when you might be available. I would love to come to Hingham. My uncle lives in town, so that could be doubly fun. My Monday evening schedule opens up starting August 8th. What date(s) work for you? I will contact you by email, as well. I will begin reading some of your work, now that I am aware of your writings. I too am devoted to the history and relations of the Philippines, including prior to and the aftermath of the “Philippines Insurrection “. The Empire building activities of America have been ignored or missed by most you even think about the relationship between the two countries. While I suspect you may not make your way to our great state of Idaho, thank you none the less for your efforts to inform about that period of History. My maternal great-grandfather, Horatio Smith, was a Thomasite assigned to the northern region of Luzon. He founded what later became the Cagayan State University. I came across your article on FB and read it with utmost fascination as this is exactly the kind of material I look for in trying to understand the cross-cultural milieu which produced me. Horatio’s eldest daughter, Ruth (my grandma), married a Max Warne, son of a US Army soldier initially sent to the Spanish-American War theater in the Philippines who stayed on ostensibly to fight in the “insurrection”. Along the way, he got with an Ilocana native woman and had Max. Wow! Your background is exactly the kind of story I imagine in my novels. I hope you enjoy reading through the site. I have some posts on the Thomasites specifically, as well as lots on the war. I am currently working on the novel about my former soldier character, and I hope to have it out before the end of the year. Unfortunately, I am headed back to full-time work, so I am not sure when I will be able to do my lecture again, but I will let you know! Thank you so much for your interest and your note.